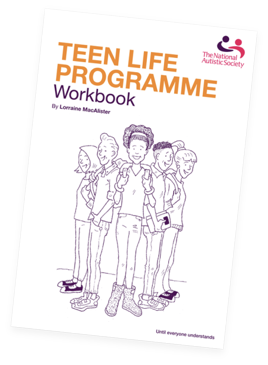 The Teen Life Programme is a six week parent support programme which will run weekly from the Lighthouse School training suite. The programme’s interactive sessions allow you to explore your child’s Autism and support strategies. The programme allows you to request a supporting professional eg. School staff, PA, support staff to attend the sessions with you and be part of the discussions around your child. All NAS parent support programmes work along the principles of supporting parents to gain an improved knowledge of Autism and increased confidence. One of the principle benefits highlighted by parents is meeting and sharing experiences with other families. For more information please see the NAS website. If you would like to take part please return an application form to training@lighthouseschool.co.uk and we can provide further information regarding the availability of courses. Families of students and families not connected to the school are eligible to apply for the course.